Another day, another fantastic greening project! We are very excited to showcase our latest living green wall at Establishment in Cape Town. Over 400 plants were used to create this gorgeous vertical garden in the indoor courtyard area. This living green wall stands 6m tall, and cascades behind the delicate staircase, creating a crisp contrast between the white and green interiors. 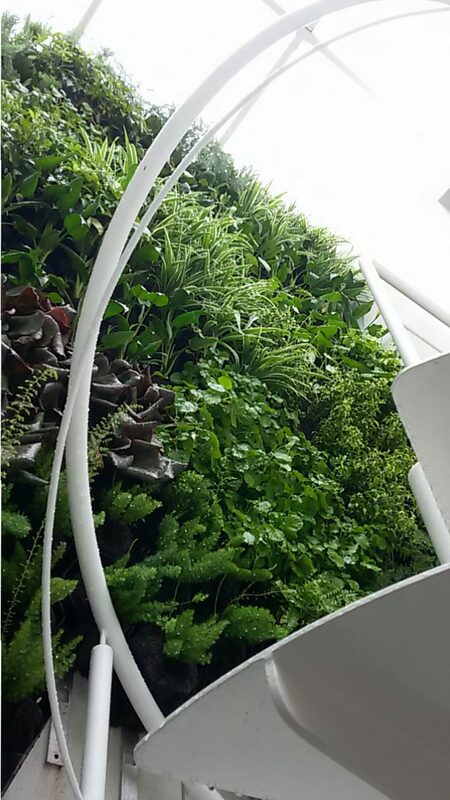 This vertical garden was installed using our Vertipot system, and is monitored online using our one of our Livecount units. A big thank you to the Living Green Walls team for a fantastic installation – the finished product is an absolute masterpiece.